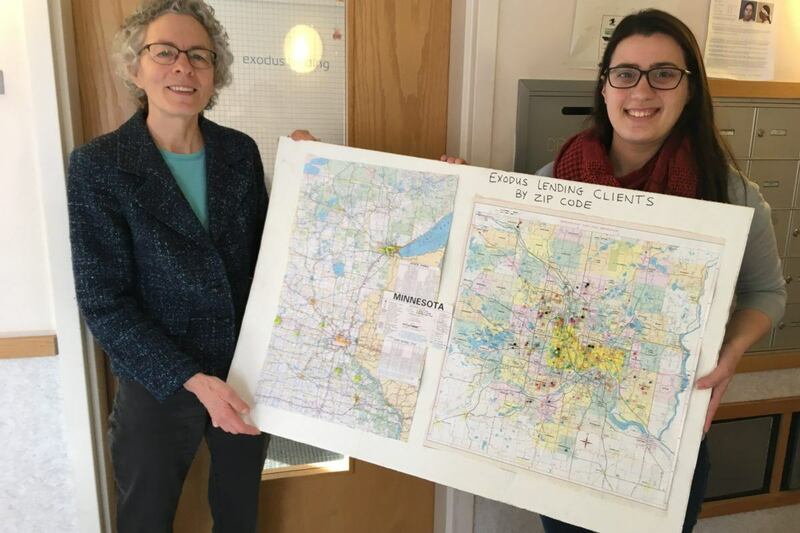 Exodus Lending is a Mary’s Pence grantee in Minneapolis, Minnesota that helps Minnesotans stuck in payday debt traps. Payday lenders are a growing problem in Minnesota, trapping citizens in a seemingly un-ending cycle of debt. 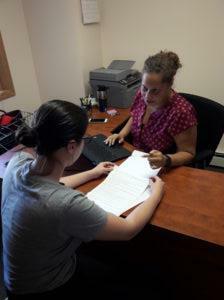 Exodus Lending helps lift people out of the cycle and supports them as they improve their financial health. They provide trapped payday borrowers a just pathway to financial stability. Community members watched as payday lenders moved into their neighborhood and saw what it did to their neighbors and friends like Deb. In response, they came together to form Exodus Lending. Now, Exodus Lending pays off participants’ loans, including any accrued fees or interest. They then set up a monthly repayment schedule to be carried out over the course of about a year, interest free. This allows participants to pay off their debts at a more manageable pace. That money then goes into supporting other people caught in payday debt traps. Not only are people paying their debts off, they’re helping others stuck in the same situation. Approximately 75% of Exodus Lending’s participants are women. Minnesotans stuck in the payday debt trap typically find Exodus Lending either through online searches or through Lutheran Social Services. Once found, it’s easy to get support. Exodus Lending is prepared to find creative solutions for whatever financial situations their participants might be facing. They offer an incentive of $50 back per each financial counseling visit, up to three. Exodus Lending also matches up to $400 for those interested in starting savings accounts. Exodus Lending has a new goal of expanding out into other communities to help support a broader participant base. Specifically, they are looking to expand the services they offer in Clay County in Western Minnesota, where there are many payday lenders creating a drag on the community economy. Learn more about Exodus Lending or the Mary’s Pence Grants program.